9/9/09 sees the long overdue extreme makeover for the entire Beatles catalog. As fans rush to purchase the newly remastered classic albums,which sound better than ever I might add, here are some fun facts laid out in a spooky conspiracy theory format that point to sings making today the perfect time to celebrate the Fab Five in all their sparkling glory. John Lennon was born on Oct 9. His son Sean was also born on Oct 9. Brian Epstein first saw the Beatles at the Cavern on Nov 9, and secured their recording contract with EMI on May 9. On the cover of Walls and Bridges, there is a painting of Lennon’s from when he was 11 years old of a football player with a big “9” on his shirt. In addition to “#9 Dream”, Lennon wrote “Revolution 9” and “One After 909”. John met Yoko on Nov 9; 9 years after he met Paul, and 9 years before the birth of Sean. He lived at The Dakota, built in 1881 (which adds up to 9 twice) in apartment 72 (which adds up to 9). The building is located on 72nd St in NYC (which adds up to 9). He was murdered late in the evening of Dec 8 in NY, but it was already the early hours of the morning of Dec 9 in his birthplace of Liverpool, England. 1980 adds up to 9. (1+9+8+0=18, 1+8=9). 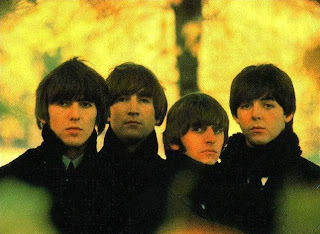 Excluding soundtracks, The Beatles released 9 studio albums. And now this, the Beatles remasters on 09/09/09. Magic!